WIHE Hospital aims to present the latest achievements of medicine and high medical technologies. The exhibition spans through variety of categories ranging from medical equipment of diverse specialties, IT solutions in medicine and telemedicine through medical furniture and disposables to disinfection and sterilization. Exhibition “Public Health” is the first event in Ukraine and fourth in Europe of international level. The exhibition is enlisted by UFI (the Global Association of Exhibition Industry). AGROSYM represents a good opportunity to exchange ideas, to strengthen existing and to create new academic networks, and to foster dialogue between the academia, public institutions, the private sector and civil society organizations on the recent global and regional trends in the agro-food sector. AGROSYM covers the following thematic areas: plant production, plant protection and food safety, organic agriculture, environment protection and natural resources management, animal husbandry, rural development and agro-economy, and forestry and agroforestry. 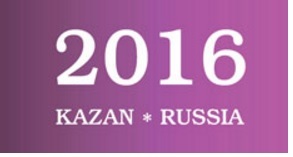 The Zavoisky Physical-Technical Institute of the Russian Academy of Sciences, the Academy of Sciences of the Republic of Tatarstan and the Kazan Federal University organize the Week of Science “Horizons of Magnetic Resonance” in the period from 31 October till 4 November 2016 including the annual International Conference “Modern Development of Magnetic Resonance 2016” and the anniversary Zavoisky Award 2016 ceremony (www.kfti.knc.ru/en/zavoisky) supported by the Government of the Republic of Tatarstan. 2016 marks twenty five years since the first Zavoisky Award was given to.